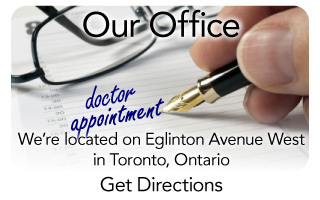 The office of Dr. Miriam Grushka is an oral medicine clinic serving Toronto area residents. While we don’t handle the care of teeth, our team specializes in issues of the mouth, orofacial pain and TMJ. 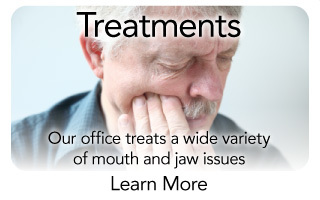 Because oral pain has a variety of factors, treatment at our clinic is often multidisciplinary. Dr. Grushka and our staff work to coordinate care with other area medical and dental specialists, as well as primary dental and medical practitioners, physiotherapists, massage therapists and other professionals. 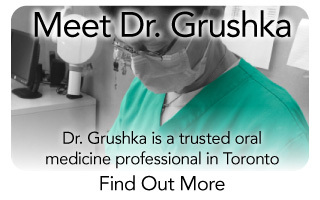 Dr. Grushka has been treating patients for over 30 years with the mission of providing efficient care in this field that she is so passionate about. She’s written various articles about these issues and is well-versed in their best treatments. Our clinic aims to treat adult orofacial patients in a compassionate and effective way. We strive to be thorough in all treatments; our therapies are conservative and in turn we have been able to help many people. We don’t want you to have to live with chronic mouth and jaw pain – you deserve to feel better in your day-to-day life. Call us to schedule your appointment! Questions about our office? Check out our FAQ.